Whether it is for a present or for the many different Christmas parties you will be attending, dresses are pretty much essential for this time of the year. If you are anything like me, I love clothes and shopping but I hate expensive price tags. One of the ways I avoid this is online shopping from America, because the prices are just so good, even when you include shipping. Here are 5 of my personal picks of dresses for the Holiday Season for a sweet, sweet price. 2. The Urban Renewal Johann Lace Dress from Urbanoutfitters. I love this pretty red dress, that also comes in other colours! I also love the price $68. Urban Outfitters offers $35 flat rate shipping to Australia, so you can stock up on as much as you want for the same rate, or go in with a group of friends. 3. The Morning Hour Dress from Modcloth. Modcloth has some beautiful retro, vintage inspired dresses for great prices. This one comes in at $74.99, and they have really great rates for shipping to Australia, some of the best I have seen. This one may not be bright and cheerful, but it is classic and can be brightened up with great shoes and a classic purse! 4. 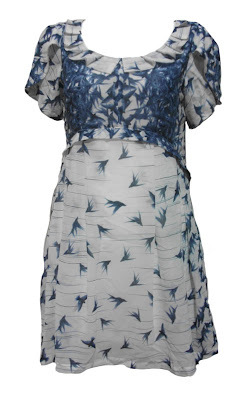 This Flight & Feathers dress hails from right here in Oz, a company called Friends Of Couture I already own one of their dresses, and I love it. This one is next on my wishlist, and just sneaks in at $99.99. I love the style of this company, they have lots of vintage 40's inspired clothing, and it is so well priced. They have an online shop, and will ship within Australia. 5. And last but certainly not least, the Ringwald dress, by L.A boutique, that can also be found at Karmaloop.com for a steal at only $68.00. Its got a cute little V at the back and great detail on the ruffles on the sleeves.